At first we could only give indiscriminately to the hundreds who thronged our doors. But, directly, I perceived that a prolonged continuance of this system would be productive of greater disaster to the moral condition of the people than the bombardment had been to their physical; that in a city, comprising less than eighty thousand inhabitants, there would shortly be twenty thousand confirmed beggars. 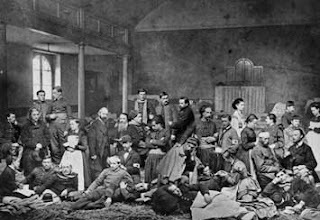 Only a small proportion of these families had been accustomed to receive charity, but one winter of common beggary would reduce the larger part to a state of careless degradation from which they would scarcely again emerge. It seemed morally indispensable that remunerative [paid] employment in some form should be given them. This population must always be the neighbors, if not a part, of the German people; it will be most desirable that they should be also friends; they are in distress—their hearts can never be better reached than now; the little seed sown to-day may have in it the germs of future peace or war. 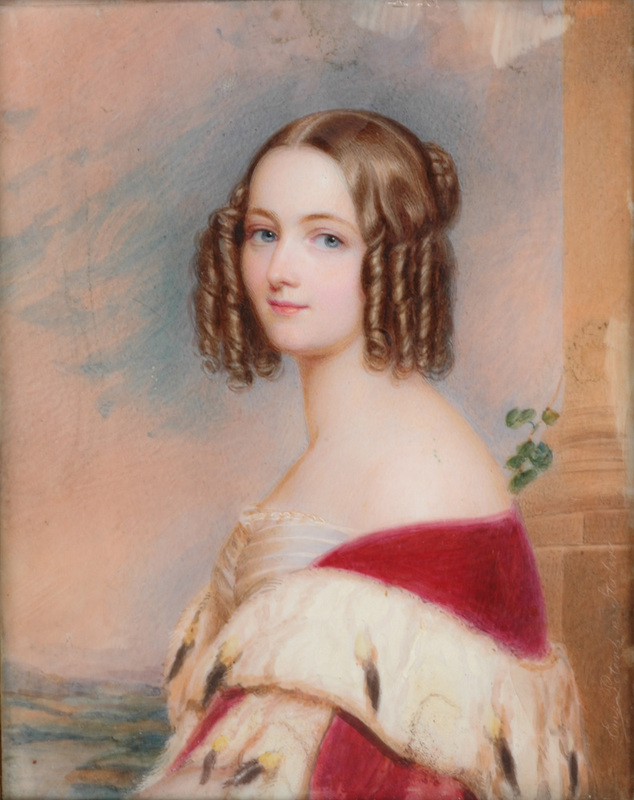 Although many of Barton’s ideas such as civil rights and humanitarianism were pioneering, her ideas about charity do reflect that she was a woman of her time. In 19th century America, industry impressed good citizens, and a dependence on charity showed lack of moral character. Nothing showed good character more than independence and making positive contributions to society. Today’s society does not seem so interested in moral character, but should that make Barton “old-fashioned” or out of touch with public need? Studying psychology taught me that basic human needs never change, but the human mind is a very complicated thing, a product of our value system and life experiences. I wonder how much we have really changed since Barton’s time. Does she remain ahead of her time or have we passed her in social evolution? 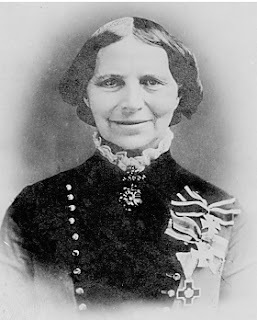 Clara Barton wearing pansy brooch and medals received for service. 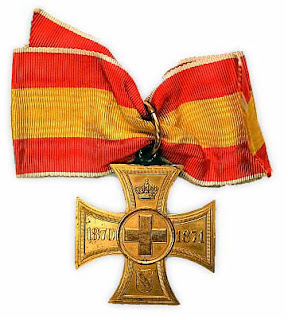 The brooch was one of many gifts from Princess Louise of Baden.